Anyone who knows me, knows that I am a massive tea and coffee lover. Flavored teas, specialty coffees, I love them. It's quite the obsession. 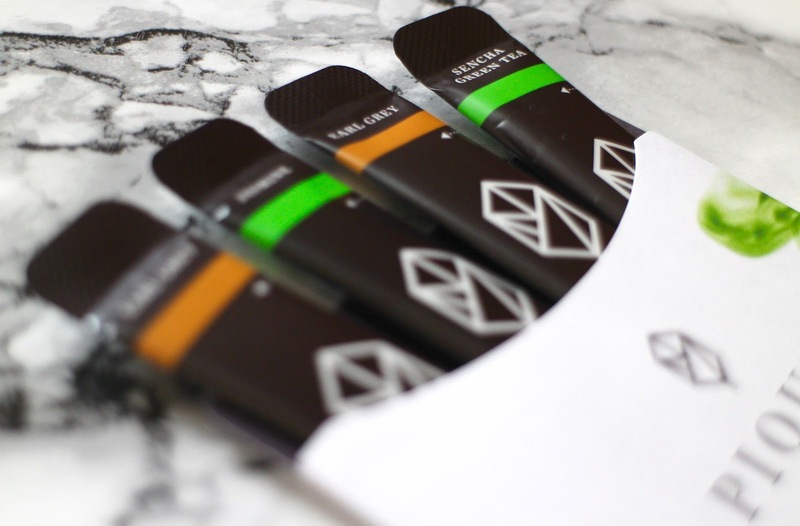 So I was absolutely delighted when I was contacted by San Francisco based Pique Tea to see if I would like to try out a sample of some of their teas. I'm Irish, I love tea, naturally I was delighted. 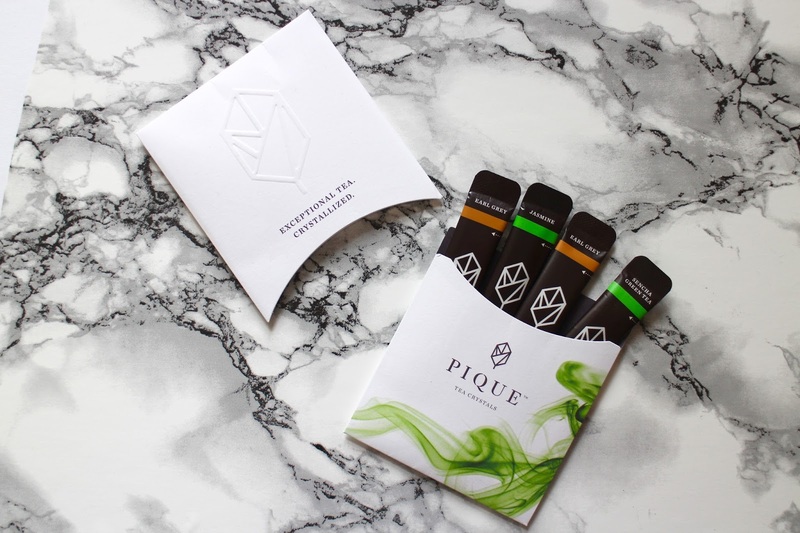 Especially because Pique Tea is unlike any other conventional tea I've used before. I'm used to the tea being in a tea bag. Yano, throw it into the cup, pour in your hot water, a touch of almond milk and boom, there's a cuppa. Pique Tea however comes in crystal form, it actually reminded me a little of finally grounded brown sugar, and the packaging is very convenient, which it makes it so easy to just toss in your bag and go. 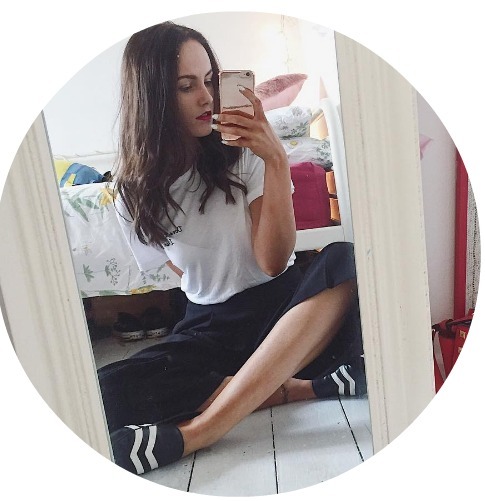 Very handy if you're a commuter, a student or just like bringing your own tea to work etc. Simon from Pique Tea (the founder) was kind enough to send me three of their tea flavours, old school Earl Grey, Jasmine and Sencha Green tea. I loved the Sencha Green tea and would highly recommend if you're looking for a lovely, all natural green tea. But, the Earl Grey was probably my favourite and stood out for me. It is a classic. I found it was a lot stronger than the regular tea I use which was great because there's no fussing around with a tea bag trying to get it to my desired strength. I love a strong cuppa. and with a touch of almond milk, it was absolute perfection. Definitely the best cup of tea I've had in a long time. The whole process of crystallizing the tea leaves (which are organic and fair trade btw) fascinates me, it's such a new innovative way of making a cup of tea and something I've never even heard of before. I just think it's pretty cool, and Pique Tea is actually better for you than trendy ~matcha tea, which I found interesting because I was always interested in trying matcha but heard conflisting reports taste wise, and well Pique Tea tastes pretty damn great and is quite cheap too, with a pack of Pique Tea containing 14 sachets like the ones above costing $7.99. Not too shabby. Now unfortunately Pique Tea don't ship internationally just yet, but if you're American (the majority of my readers are which is why I thought this would be of interest) and into healthy food and drinks, then you can order online or pick up in Whole Foods. 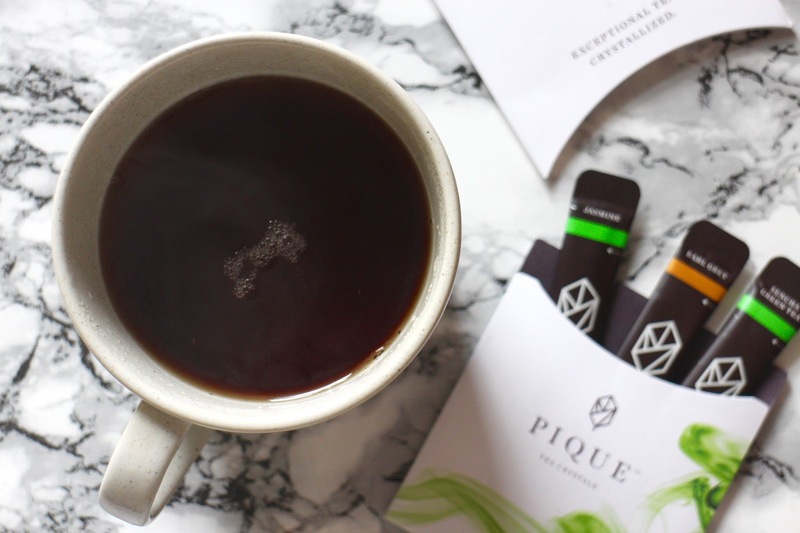 Have any of you tried Pique Tea? What do you think of the crystals or are you a sucker for a tea bag?